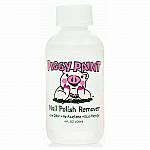 Piggy Paint dries to a hard, durable finish that can easily be removed with Piggy Paint's eco-friendly, low odor Piggy Paint nail polish remover (sold separately) . Both are made in the USA! 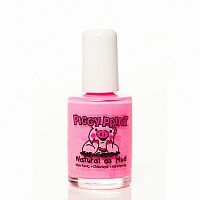 Say good-bye to harsh, smelly chemicals and hello to Piggy Paint...it's as Natural as Mud®!